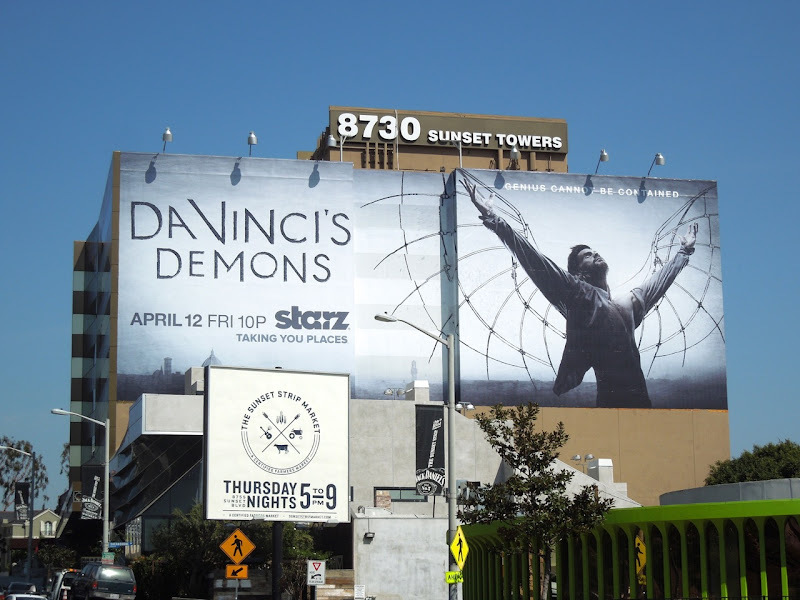 How do you like this latest super-sized billboard for Starz new show, Da Vinci's Demons, ready to take flight along L.A.'s Sunset Strip? 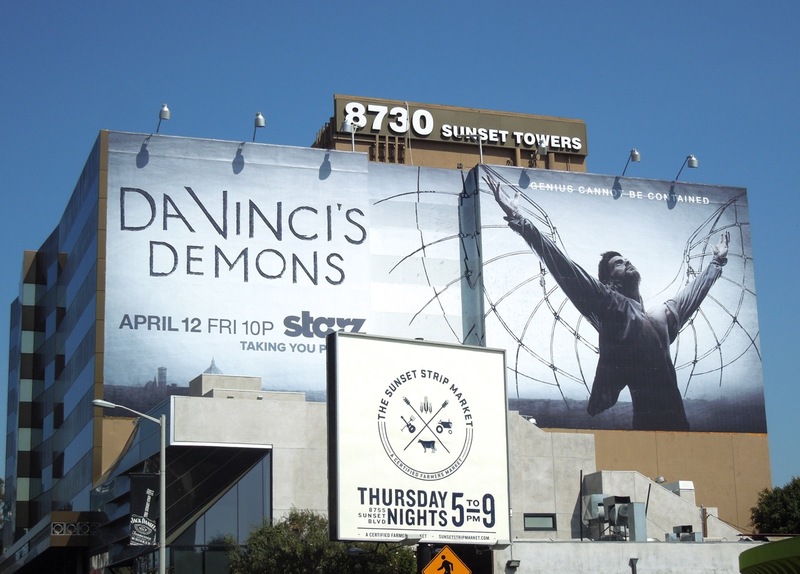 The original series will uncover the secret history of Leonardo da Vinci, the renowned super-genius Italian Renaissance Man, who some would say was cursed with an unquenchable curiosity and supremely inventive imagination. The man of many talents, who also painted the infamous Mona Lisa, The Last Supper and created the iconic Vitruvian Man, will be played by Tom Riley. 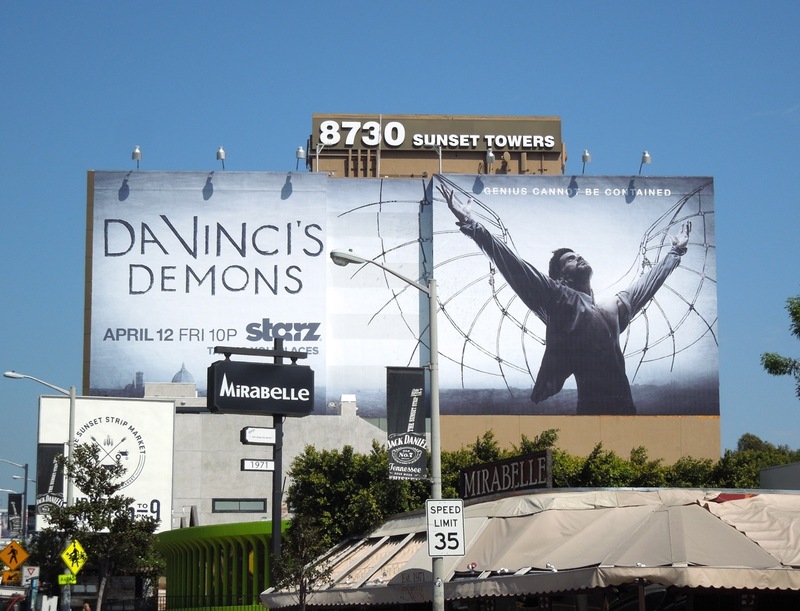 In Da Vinci's Demons the young genius will apparently be plagued by the conflict between truth and lies, religion and reason, his past and the future, whilst he fights for his own sanity as opposing forces try and seduce, contain and undermine him. 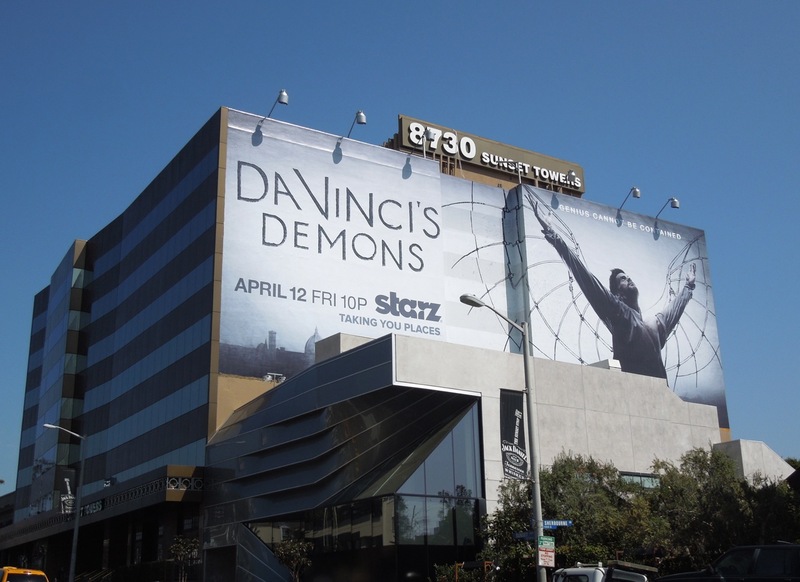 This striking creative for the new TV series cleverly evokes a winged demon (or an angel depending on your perception) and is a nice twist on da Vinci's notorious flying inventions. 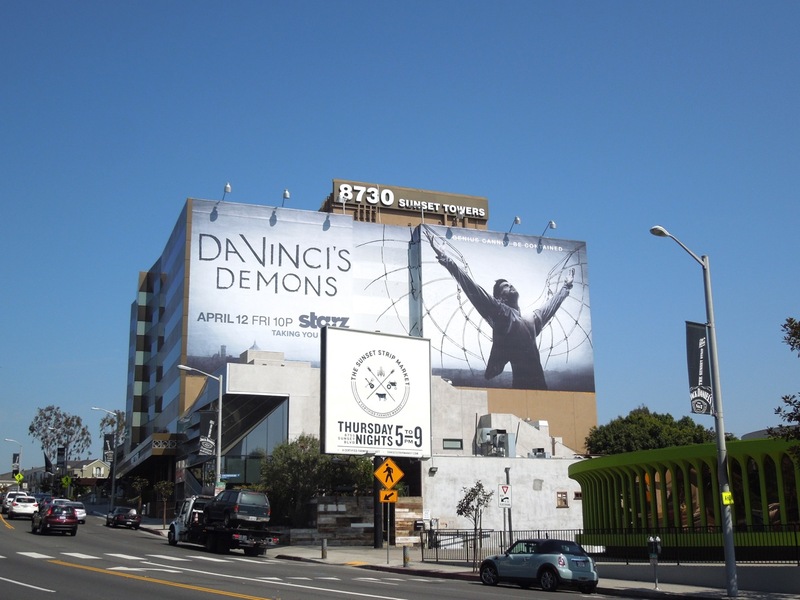 This giant series premiere billboard was spied along Sunset Boulevard on March 27, 2013. 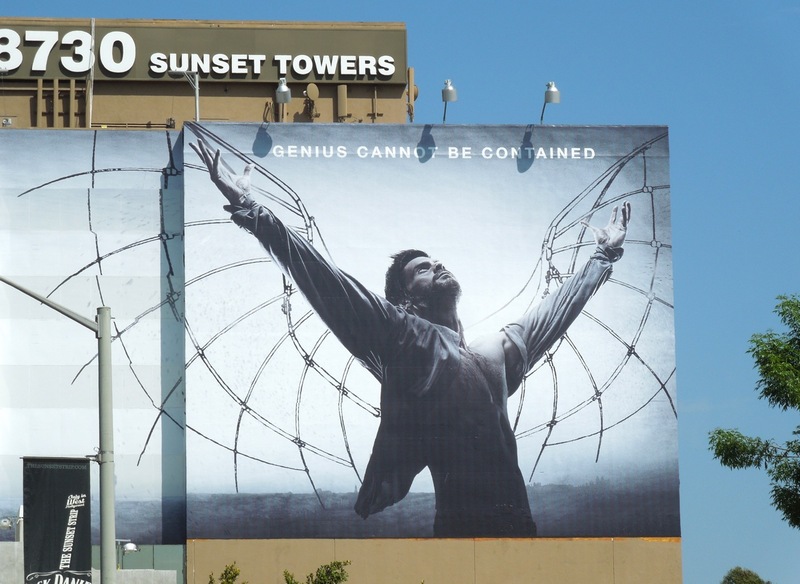 If you're a fan of the premium channel, be sure to check out these other Starz TV show billboards.